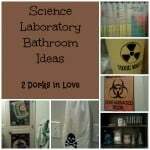 As have I mentioned before, we have a science laboratory bathroom theme going on at our house. 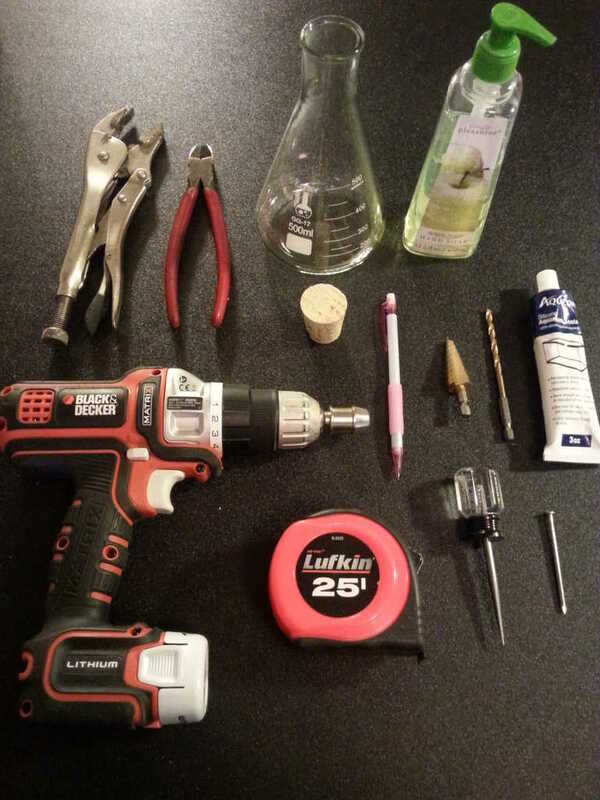 Part of the fun was crafting my own Erlenmeyer flask soap dispenser with the help of my dad. He graciously brought over his tools so that we could make another one of these. You could use these for a bathroom, kitchen, actual laboratory…anywhere that you need to wash off! 500 mL Erlenmeyer flask. I have used the Karter Scientific ones with a narrow mouth. Do not hold the cork in your hand during drilling. Slips can happen. There is no rush. Go slow and steady as you move through the cork. 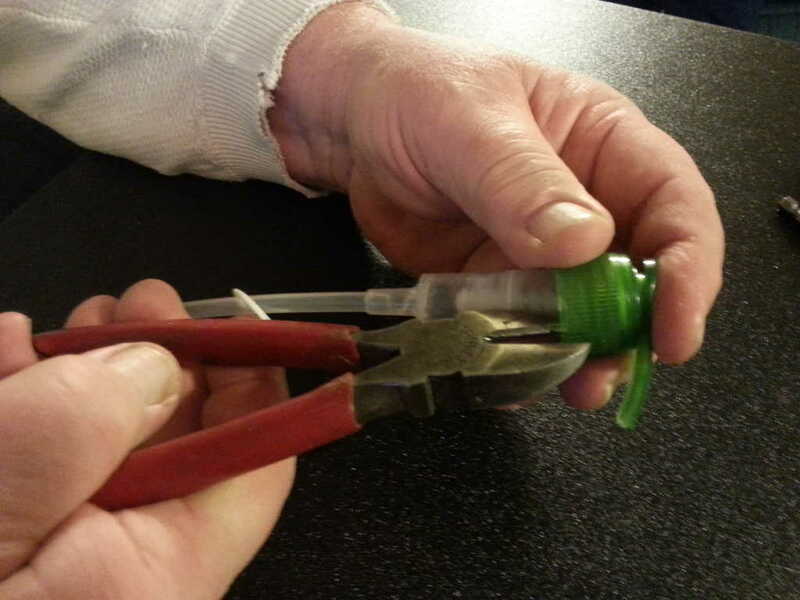 Make sure your fingers are not close to the wire cutters as you remove the collar. 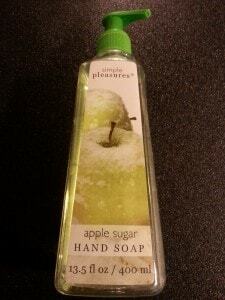 I like to use the soap dispensers from Joann. 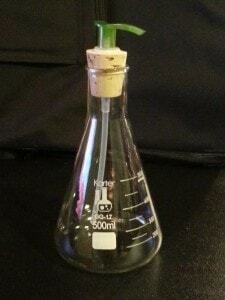 The tube is long enough to reach almost to the bottom of the flask, they have colorful pumps and they are cheap! I see them on sale for $1 all the time. 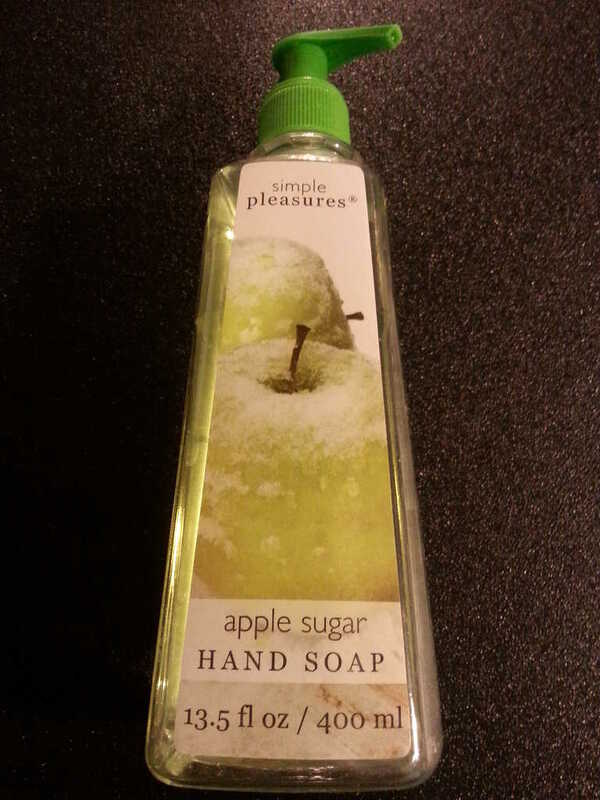 As a bonus, you get some soap to use in your flask or elsewhere. If you use another kind, look at the pump part (under the collar) and make sure that it is narrower than the smaller end of the cork. 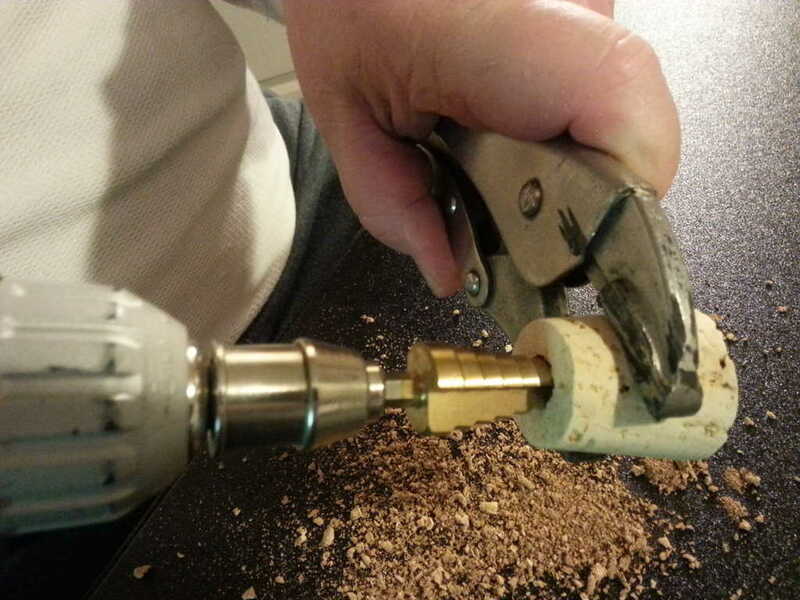 You want to make sure there is enough for a sturdy ring of cork to surround it. 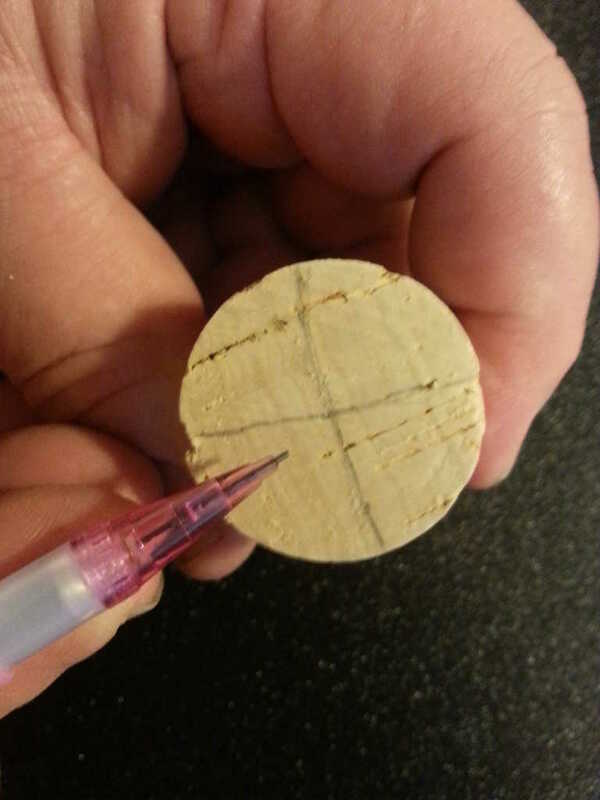 Use a pencil to draw 2 perpendicular lines across the top of the cork. The center spot is where you will want to drill. You could also use the measuring tape for this step if you like. You can erase what is left of the lines once you finish making the dispenser. Use a nail, ice pick, awl or other object with a sharp tip to make a small hole in the center of the cork. This will futher help mark where you need to be drilling and allow the drill tip to enter more easily. 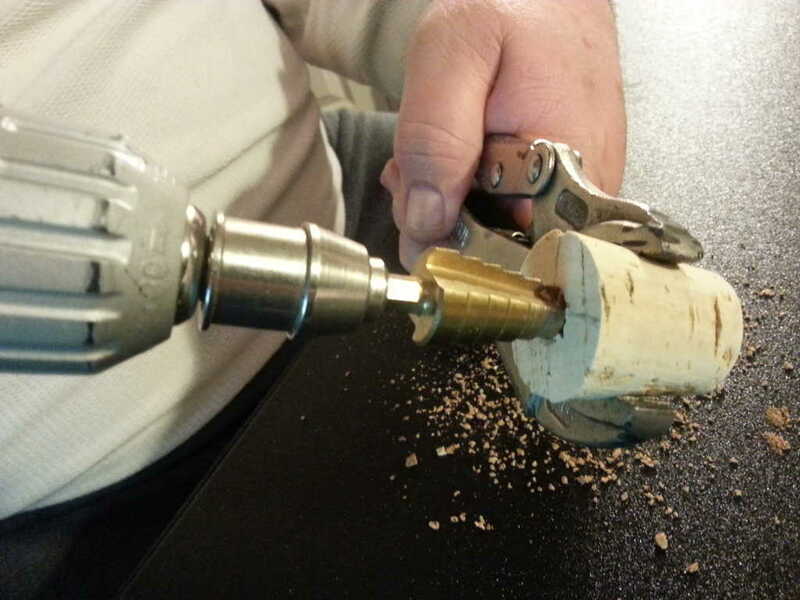 Hold the cork up with a pair of vise grips. Use the 3/16 drill bit to go completely through the cork. 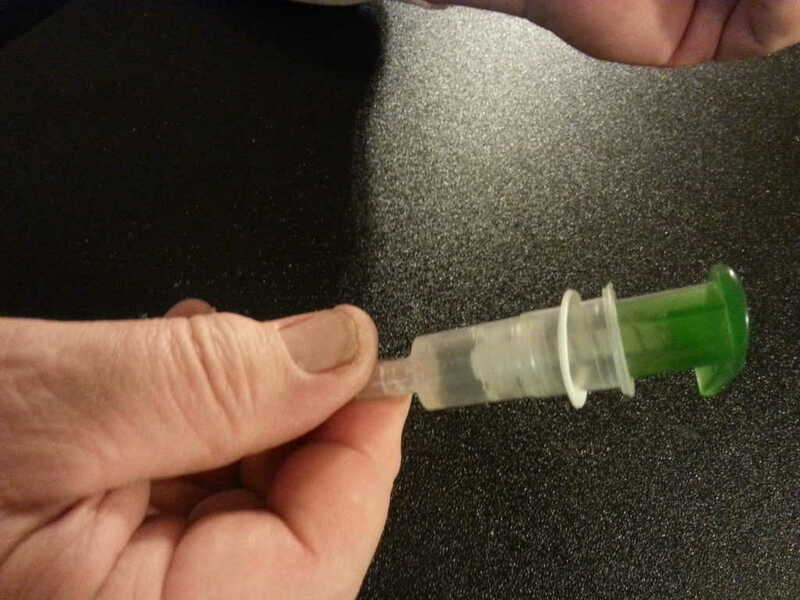 This will create the larger hole that is needed for the soap pump. 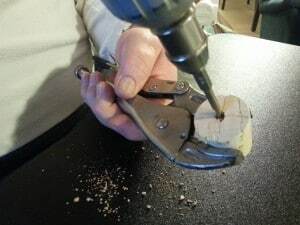 Take your time to guide it through to lessen the chance of the cork breaking. You can turn it over and do some drilling on the other side. Only widen it enough to slip the neck of the pump inside. Continue until you are completely through. If needed, you can widen it carefully once the soap pump collar is removed and you try out the fit. 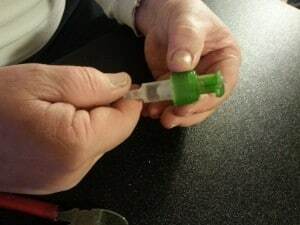 Soap pumps normally have a collar so that you can screw it onto the bottle. 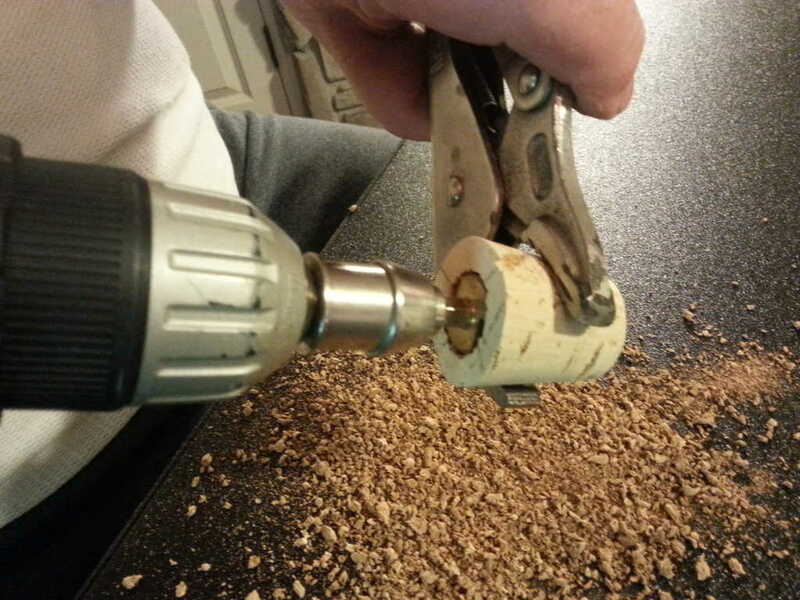 In this case, the cork will be the part that is placed into the bottle and the collar is bulky and unneeded. You do need to keep the little gasket (ring) that is under the collar. 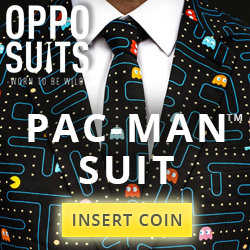 You can push the collar up to reveal it. Slip the gasket off and save it for the next step. Use the wire cutters to snip off the collar. Use caution and hold it on the sides while you go. It will take several cuts before the collar is completely broken and can be removed. 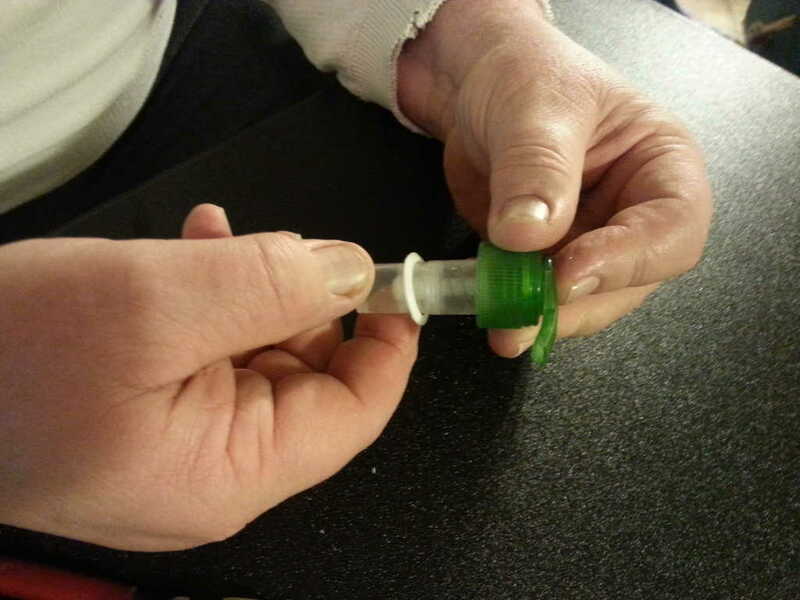 Once you have removed the collar, slip the gasket back onto the pump. 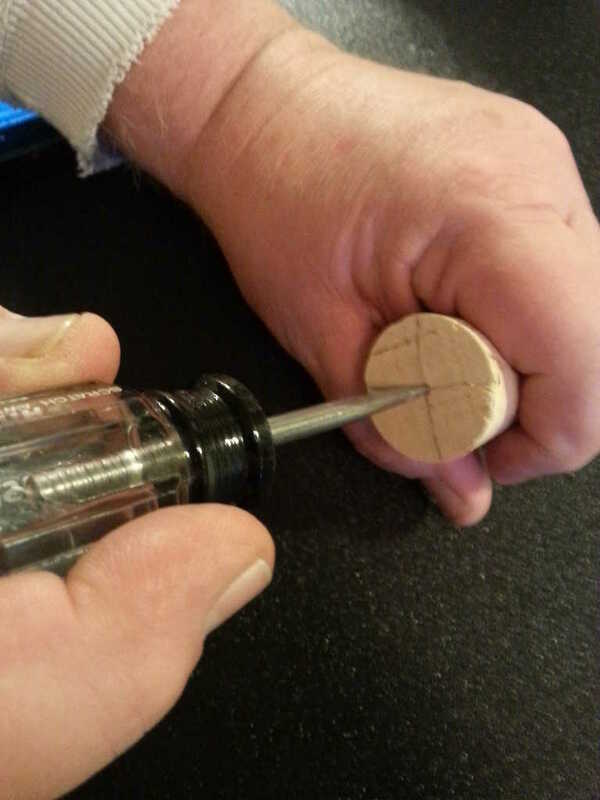 Place the pump into the cork to make sure that the hole is not too small. You do not want to widen it too much, so only drill more if it will not fit. 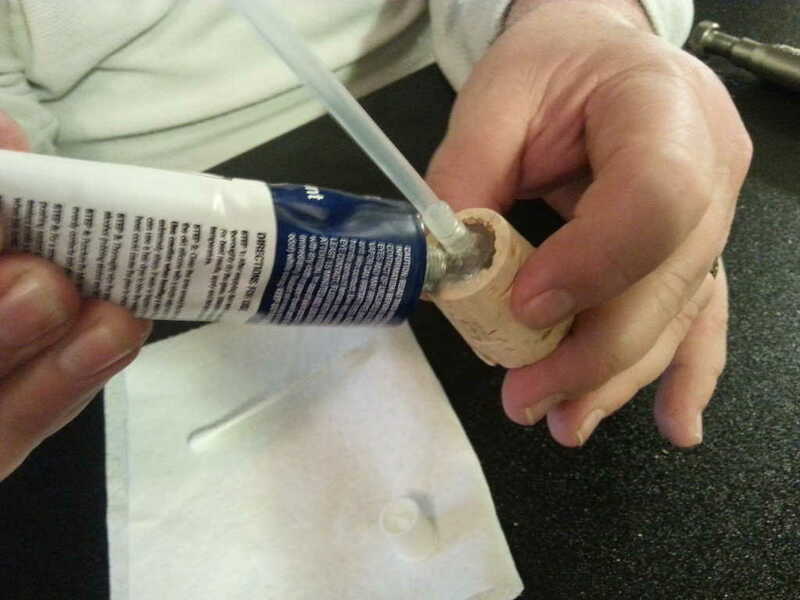 Move the cork back down to put on adhesive. Apply your adhesive to the soap pump. I use aquarium silicone since I keep some on hand, but you can use other adhesives as long as they are not water based. Those will start to dissolve over time in this situation and come apart. You can use a cotton swab to evenly coat the entire pump. Be careful not to use too much or globs may squeeze out the top when you place it in the cork. Slide the pump into the hole at the wider end of the cork. Wipe away any adhesive that appears. Flip it over and put some into the bottom of the cork to help hold it. 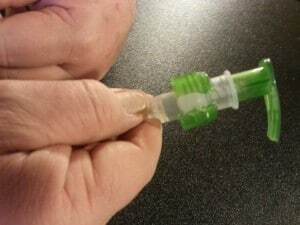 Use the other end of the cotton swab to smooth out the silicone. Allow to cure or dry overnight. 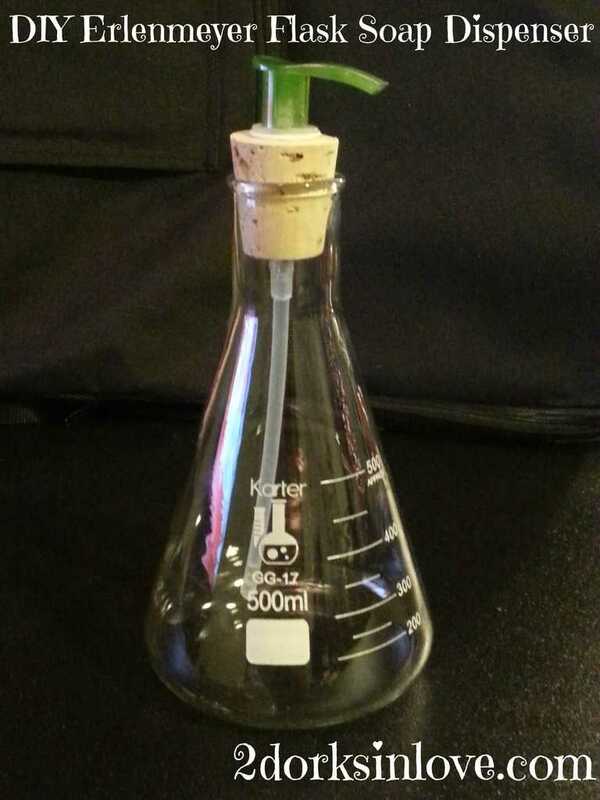 Add soap and place the cork into the flask neck. This is an awesome tutorial! I need to make a few of these for my apartment. Thanks for sharing this! Nice tutorial. I’d love to make one of these in my spare time.